Fosshaugane Stadion located on Fosshaugane Campus is a purpose built football stadium with a capacity of 5,523. 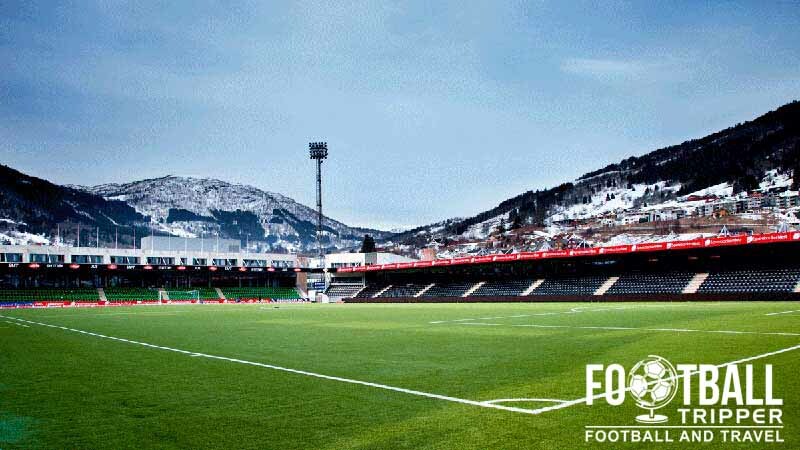 Home to recently established Tippeligaen team Sogndal Fotball since opening in July 2006, the stadium remains unpopular with away team captains according to a piece of research carried out by the Norwegian Players’ Association in 2012. A fleshed out history section will be added in due course. Fosshaugane Campus Stadion is comprised of four stands: North, East, South and West. 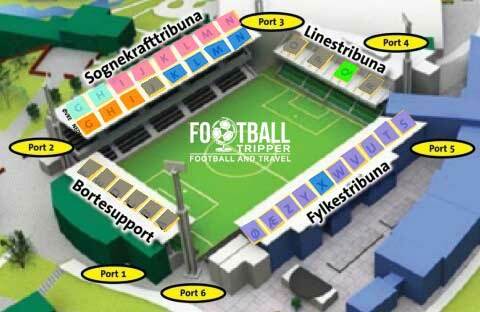 Away fans (Bortesupportere) are housed within the eastern goal-end as per the above seating plan which from what we can tell appears to be upside down! 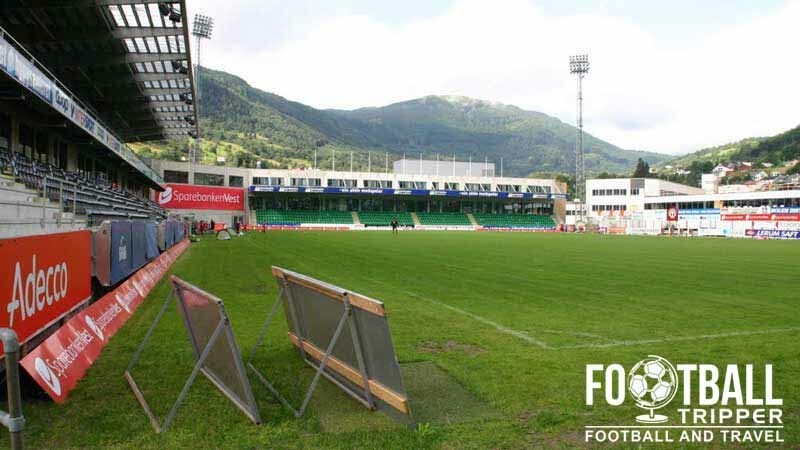 We can’t find any information regarding a fan shop or online store of Sogndal Fotball club. If anyone has any information then please get in touch! Whilst guided tours of the football ground and wider campus aren’t on offer to the public, this doesn’t stop you seeing a match and exploring the area outside of the stadium. 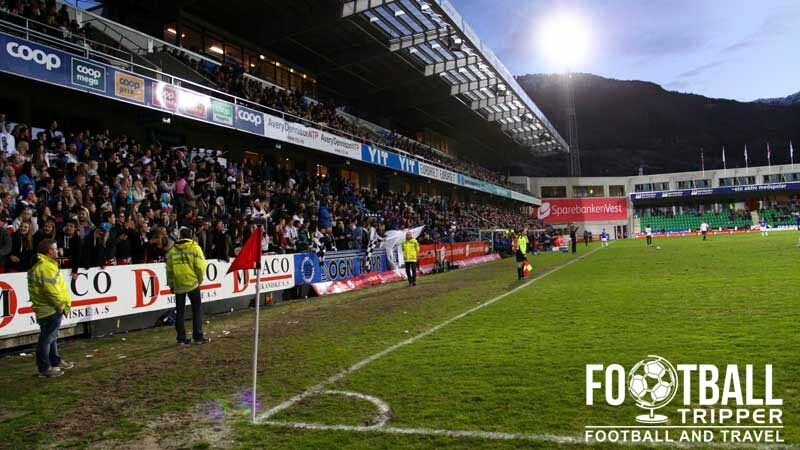 Tickets to see Sogndal Fotball play at home can either be purchased online from the official website or in person from the ticket offices at the ground which are specifically there to open before kick-off. 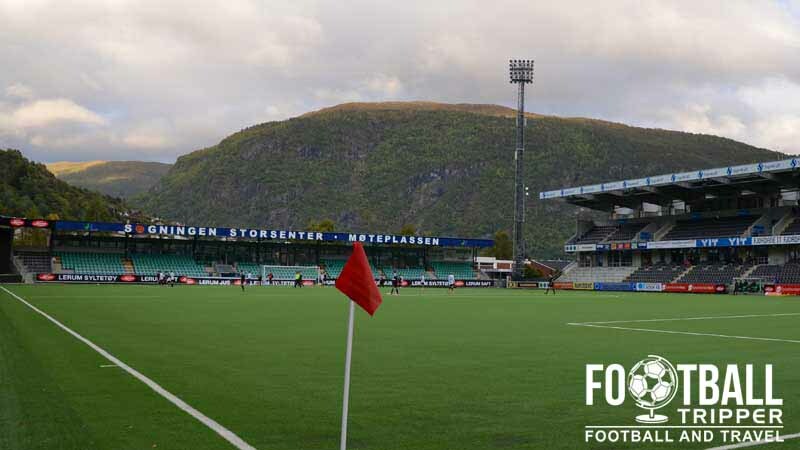 The stadium and Fosshaugane Campus are located approximately 1.2 km west of Sogndal’s centre near the waterfront. Walking to the stadium will take most Football Tripper 15 minutes, and certainly not any more than 20. There are a total of seven car parks across the campus which all charge by the hour. The wider Sogn og Fjordane County doesn’t really have any railway infrastructure due to the nature of Fjords which means that the municipality of Sogndal doesn’t have a train station. Sogndal Airport sits some 20 km south of Fosshaugane Campus and only has a limited number of flights per day to Oslo and Bergen. It’s very much a minor public airport and only runs at the request of the Ministry of Transport and Communications. The small town is rarely visited by tourists which means there aren’t many places to stay. The three main accommodation options appear to be Quality Hotel Sogndal, Best Western Laegreid, and Hofslund Fjord.